Cuba’s Sending Doctors to Fight Ebola in West Africa—How Will the US React? The US has a sorry track record of actively working to dilute the effectiveness of Cuba’s overseas medical assistance. Last week, The Washington Post reported that Cuba had sent 165 healthcare workers to Sierra Leone to help that country fight Ebola. Another 296 doctors and nurses are scheduled to arrive in Liberia. In addition to West Africa, Cuba is also sending specialists to Nicaragua, though that country has not yet had a reported case, to prepare local doctors and nurses in case there is an outbreak. A less-reported story is that the United States actively works to dilute the effectiveness of Cuba’s overseas medical assistance, putting its outdated Cold War obsession with Cuba (kept alive by Florida’s coveted twenty-nine electoral votes) ahead of the basic healthcare needs of some of the world’s poorest people. The State Department runs something called the Cuban Medical Professional Parole Program, which encourages Cuban doctors, optometrists, and nurses (along with their families) to apply for asylum at US embassies and helps facilitate the paperwork. If only the hungry kids from coup-stricken Honduras had such help. The program began under George W. Bush but continues with Barack Obama, and is largely targeted at Cubans in Venezuela. 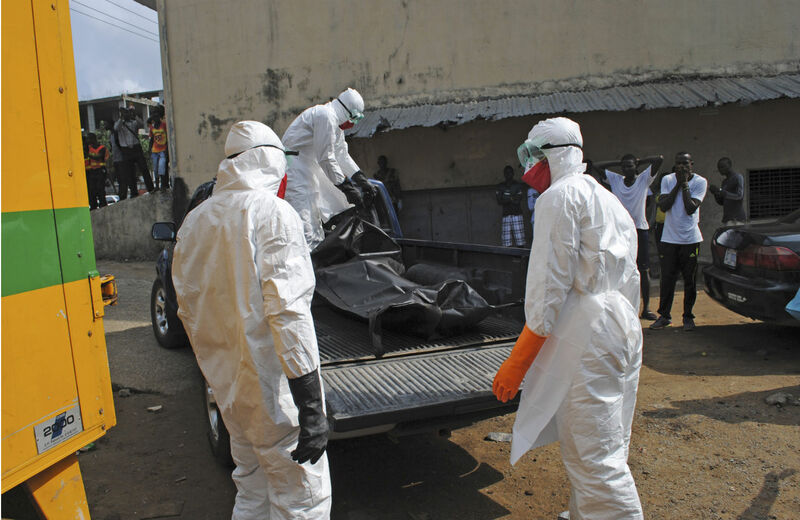 As the West African death toll of Ebola now nears 9000, it would be interesting to know if US diplomats in Sierra Leone are dangling the plums of US-level salaries in front of the Cubans, or if they are willing to put the program on hold and let them fight the disease. Havana’s been sending healthcare workers to Africa since the early 1960s, staffing clinics and training medical faculties, including in Guinea-Bissau, Uganda and Equatorial Guinea. When white doctors fled South Africa after the end of apartheid, Cuba stepped in. According to one report, Cuba in 2007 had 30,000 healthcare professionals, including 19,000 doctors, working in over 103 countries. Beyond medical “brigades,” Cuba has joined with Brazil to produce a low-cost meningitis vaccine, targeted against types A and B prevalent in the dry season throughout the so-called “Meningitis Belt,” covering some twenty-three African countries and running from the west of Senegal to Ethiopia. In the mid-2000s, when it appeared that low profit margins would slow commercial production of the vaccine, the World Health Organization put out a call asking for help. Brazil and Cuba, together, responded. Two state-funded institutes—Bio-Manguinhos in Brazil and the Finlay Institute in Cuba—began to produce a cheap, effective vaccine. Cuba batches the active ingredients, and then passes them on to Brazil for final processing. By 2012, according to Science magazine, the two countries have provided over 19 million doses at considerably below market price (95 cents compared to between $15 and $80 on the international market, depending on the strength of the dose). About 5000 people die from the disease a year, with another 80,000 infections. Yet the joint program is widely credited with forestalling epidemics (which, if they were to have occurred, might have been aggravated by increasingly warmer and longer dry seasons) and saving many lives. Today, with reports that a potential Ebola vaccine is being held up by the bloated, ineffective free market, the Cuban-Brazilian meningitis vaccine is an example of what can be accomplished by public institutions (and though it might not come to anything, a similar south-south venture, this one with Cuba and Thailand, is claiming a breakthrough in identifying an Ebola antibody). One last thing about those Cuban doctors and nurses: I know the criticisms leveled against Cuba’s medical diplomacy, and I wouldn’t discard them. We don’t know the terms under which they agree to their mission; perhaps they are compelled by family or financial reasons. One hopes that the Cubans will follow best protocols. There is, though, something remarkable about the warmth and affection, about the humanity, especially when contrasted with the xenophobia provoked by the arrival of one infected Liberian to the United States. Cuba’s often described as totalitarian, but there are varieties of totalitarianisms, of the heart as well as the state.